Made from bamboo and rice, these seed trays are for indoor or outdoor use and last 5 or more years. They are biodegradable and compostable. Haxnicks range of bamboo pots, saucers and seed trays are made from sustainable bamboo fibre, rice starch and resin made from naturally occurring organic compounds. This material is free from petroleum-based plastics and BPA. It is biodegradable and compostable. 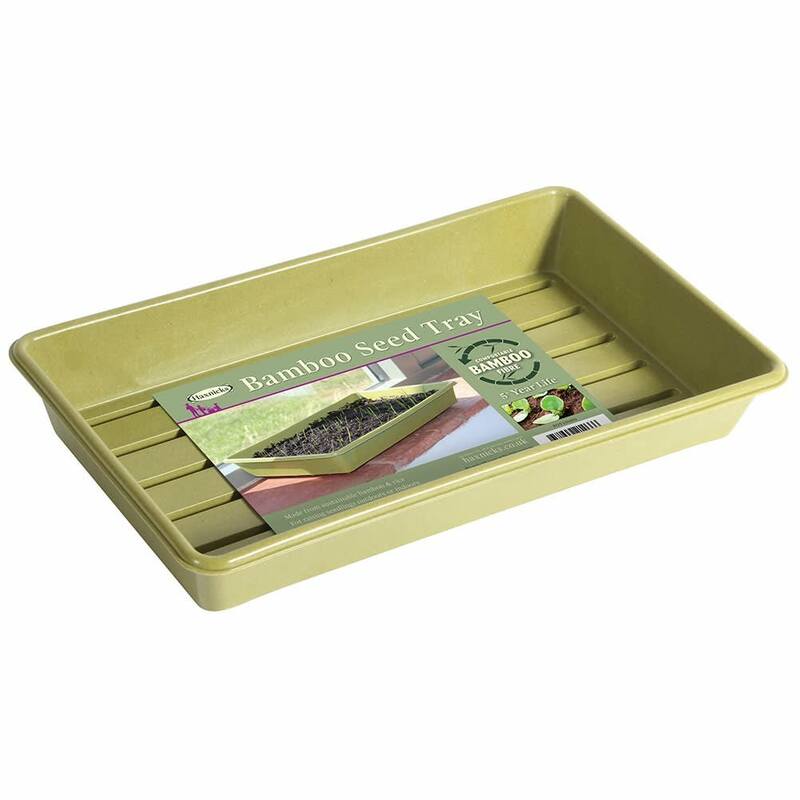 The Pots, Saucers and Seed Trays are durable and last for 5 years or more. They can be used indoors and outdoors. Composting the products may take 6-12 months. Breaking the products into small pieces before adding them to your compost heap will help speed up this process.